The above form is an application for title loans in Ogden Utah, Salt Lake City or any other city in Utah. 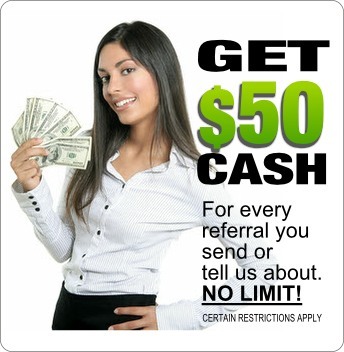 By filling it out we can have you you approved for a new loan and have cash in your hands sooner than you might think. If you still have questions though about how much you are able to get or what the fees will be or any other detail of the loan feel free to give us a call. We are more than happy to give you all the details and answer all of your questions over the phone. Here are some frequently asked questions that might provide the answers you’re looking for. Unlike a personal loan (which we also do), the amount of cash you can get with a Title Loan is dependent on the value of your vehicle. This amount can vary anywhere between $500 to $10,000. To get an idea what we can loan on your vehicle you can pick up the phone and give us a call, or simply use our “How Much Can I Get” tool here on our website. The benefit of a car title loan is that it’s not based on credit, we don’t even run a credit check. If you have a paid off vehicle and steady income we can most likely get you a loan. We understand that speed is important and this is another benefit of getting a title loan. Most people when they think about getting a loan they think of a long drawn out process. At Loans For Less we can have cash in your hands in a lot quicker than you might think! Just fill out the form above, bring your car in and you could be walking out ten minutes later with cash in your hands. The cost of a title loan is different for each customer because it is based on the loan amount. Higher loans have smaller interest rates and smaller loans have slightly larger interest rates. Because the rate makes such a large difference in the cost of your loan and the amount of your monthly payment we feel strongly it’s the number one most important thing for us to be competitive on. Because we’re a smaller institution and have lower overhead we can afford to charge lower rates. Lower rates and unexpectedly awesome customer service is how we have stayed in business and grown our business while competing against the larger title loan companies in Utah. There are only three things you need in order to get approved for a title loan, a steady source of income, a valid driver’s license and a clear title in your name for a vehicle. Bring these items in with you and you’ll have everything you need to walk out with cash. We have a location in Salt Lake City just off the 33rd south exit of I15 and one in Ogden on Riverdale road by the Newgate Mall but we have clients who come to us from all over the state because of our low interest rates and large loan amounts. Get in touch to learn more.